Sadly, the problem of plagiarism has only increased with our copy, cut and paste possibilities. Some people have explained away the issue with that old, untrue cliche: Imitation Is The Sincerest Form of Flattery. Folks: IMITATION is NOT the sincerest form of flattery. Here’s what is: “Susan, you look so thin and so young”. 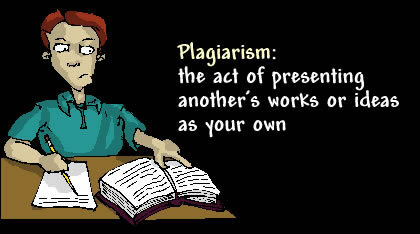 People are plagiarizing, borrowing and outright stealing: music, designs, books and presentations. Hopefully the Supremes (not the Motown group) have a clue even though there are now only eight of them. I am so tired of seeing my book titles, facsimiles thereof, topics, phraseology, concepts and content in other peoples’ books, programs and products. Having the US Trademark and Patent office grant me a service mark for How To Work a Room® finally has made a difference and now we have cease and desist process in place. Oddly, the majority of the current infringers of my trademarked presentation title- How To Work A Room® circa 2015 and 2016 – are law schools and bar associations. Go figure! Do I Detect a Copycat? 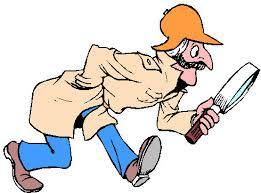 I understand why the fashion industry hired detectives, investigators and ‘enforcers’ to track down the Knock Off-ers. Some days, I want someone from the Mob to be the enforcer for my trademark and copyrights. Folks, these “knockoffs” of goods, products, books, music (click here for Rolling Stone’s article about LandMark music cases) and speeches are illegal. I know two people who had brushes with the law because of selling imitation purses. IF people think they are deserving of a speaking career, a career in fashion, music or authorship…then they ought to be clever and smart enough to design their own creations, create their own tunes and materials and leave other peoples’ shoe wear, purses, suits, art, dresses, books, speeches, phraseology, trademarked titles, and all aspects of INTELLECTUAL property— alone. Or they can try a punctuation policy and use quotation marks to identify original words. It can’t be too difficult to follow these rules of grammar I taught my elementary school students. Several years ago a fellow —who is Irish —told me that my Yiddish glossary in How To Work A Room® was so much fun that he included one in his book!!! Don’t even hazard a guess at what I wanted to say to him. Hint: it wasn’t ‘sure and begorrah’. He must not have had a clue about authenticity, ethics or common sense. There have been several cases over the years of speakers who have borrowed other peoples’ signature stories, handouts and promotional materials. I wish I could say that we learned our lessons but another egregious case of plagiarism and copyright infringement has just come to my attention and the very “original” speaker is taking action against the imitators. Here, Here. Three cheers! An author— whose book contained what my attorneys said was “fragmentary non-comprehensive similarity”— actually lifted a three page (comprehensive similarity) chapter from a colleague’s book. My publishers (via their very lackadaisical attorneys) didn’t go to bat for me. But his publisher would have none of the infringement and pursued the issue with desired results. The “knock-off” author was caught. 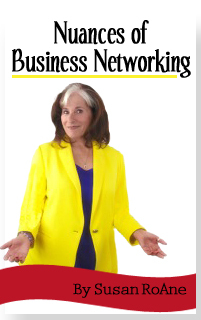 A ghostwriter told me that The Secrets of Savvy Networking was the only book that made sense to him and explained to him what real networking is for the networking book he was ghostwriting. No sh*t, Sherlock! When I can read huge chunks of my books —slightly paraphrased —in a book, that is a violation of fair usage, intellectual property/ copyright infringement and, at the very least, unethical, smarmy. Here’s the rub…the ghostwriter happened to be a trained attorney! It’s not that I’m reluctant to encourage authors and speakers. I support authors in myriad ways… just ask the people I have matched with agents, publishers, editors and book deals. I support our profession of speakers who impart wisdom, educate and offer practical ideas and have a worthy message that inform my life. Some people use the “there is nothing new in this world” as an excuse for the plagiarists, heavy lifters and knock-off artists. While we can’t copyright an idea, according to our constitution, we own the original expression of that idea. While some of what is done is clearly illegal and violates intellectual property rights, some behaviors are just plain unethical and yet others fall in the ‘unkosher’ category. And some of the violations just show that copycats lack creativity. To boil it down to what an ethical and savvy communicator/networker does: Quoting, attributing and acknowledging. They are powerful tools of the person who gives credit where credit is due. They shine the light on others and that light reflects on them as well. In my teaching days, I admonished my language arts students: “DO NOT COPY off of anyone! Or you’ll get an F”. Design your own purses, shoes, jewelry, clothes. Write and produce your own music both melody and lyrics. Present your own speeches and stories. Write your own books, articles and posts. Article One, Section Eight of our United States Constitution. It protects intellectual property and makes that protection one of our unalienable rights.